Come October 31st 150 million children (!!!) 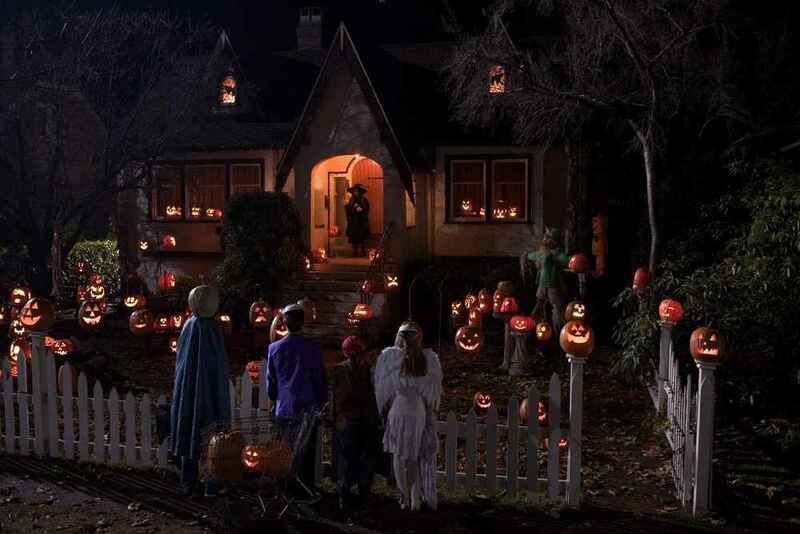 will venture into the streets, knock expectantly on doors and yell “TRICK OR TREAT!” Yet few people know the dark and winding road this nighttime festival has trod in order to become the second largest American holiday. The first celebrations of Halloween began in ancient pre-Christian Celtic Ireland, Scotland and northern France. During that era October 31th celebrated Samhain, a high holy day marked by the nighttime burning of massive bonfires, the wearing of animal skin costumes to frighten away hostile spirits and the offering of food and prayers to the protective spirits of deceased family members. 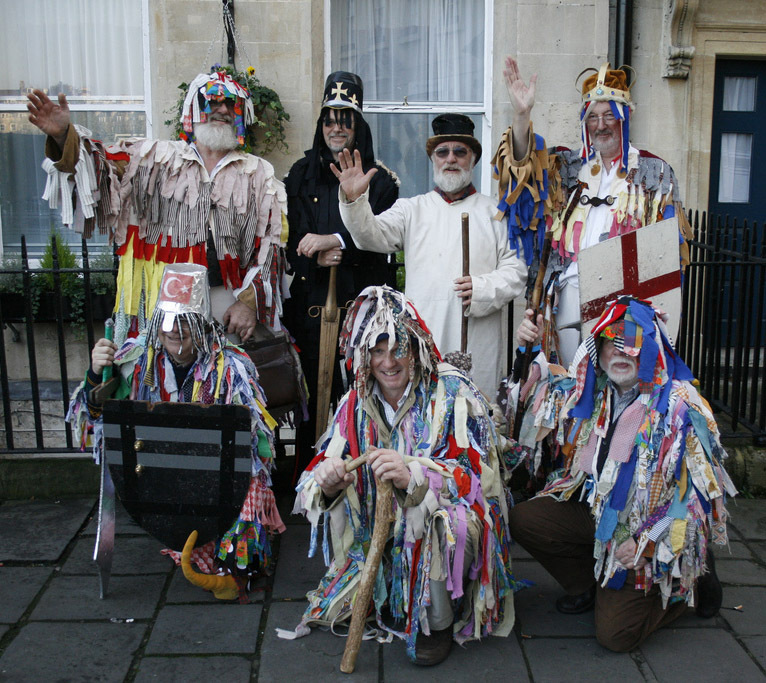 These customs continued into the Middle Ages with the previous activities then becoming known as “Mumming”. Bizarre cloth and straw costumes now replaced the prior animal skin costumes. Under the growing influence of Christianity, the food, once offered to supportive ancestral spirits, was replaced by soul cakes. This humbling practice was known as “Souling”. Over the centuries the poor were replaced by the children of the village who by then accepted money and ale in addition to food. In Scotland the tradition shifted somewhat. There the costumed children offered to exchange a song, joke or dance, instead of a prayer, for their treats. They called this custom "guising, hence the modern word "dis-guising". 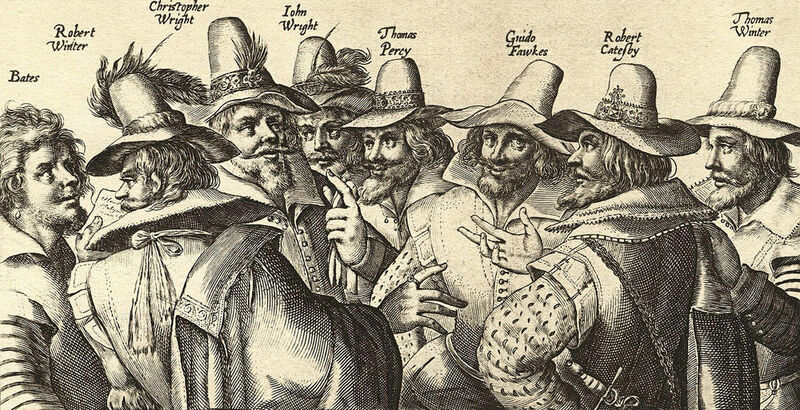 In 1605 Guy Fawkes and his fellow Catholic terrorists were caught and executed for attempting to blow up both the Protestant King James I and the entire British Parliament. His death (or courage, depending on one’s political point of view) is celebrated each November 5th with raging bonfires, bonfire-themed cupcakes and the request by English children of “a penny for the Guy”, who had to pay for his own execution under 17th century law. All of these traditions came to the United States thanks to immigration which is a constant stream of diversity that has greatly crafted the shape of American history. 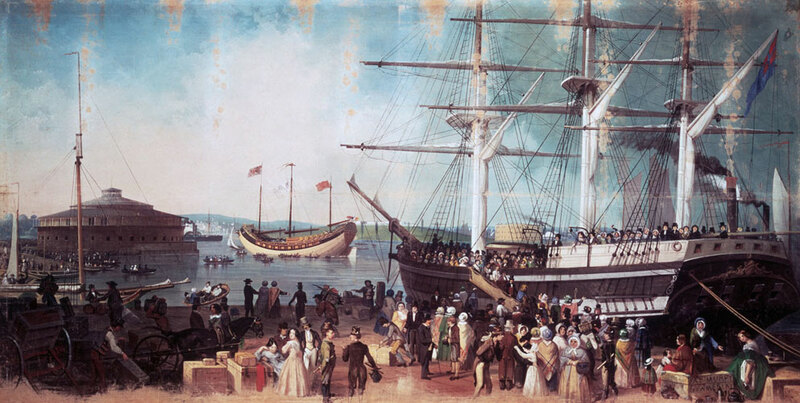 Beginning with the Great Potato Famine in 1845, waves of both Irish and Scottish immigrants came to America and brought their October holiday customs with them. By the 1920s and into the 1930s, the popular of tricking and treating reached alarming and destructive proportions in America. Vandalism exploded in major urban areas, often prompted by poverty and anger over the inequality of the American dream. The sudden involvement of America in World War II after the bombing of Pearl Harbor halted this trend as hundreds of thousands of unemployed young men entered the military and food stuffs, including sugar, were greatly rationed. 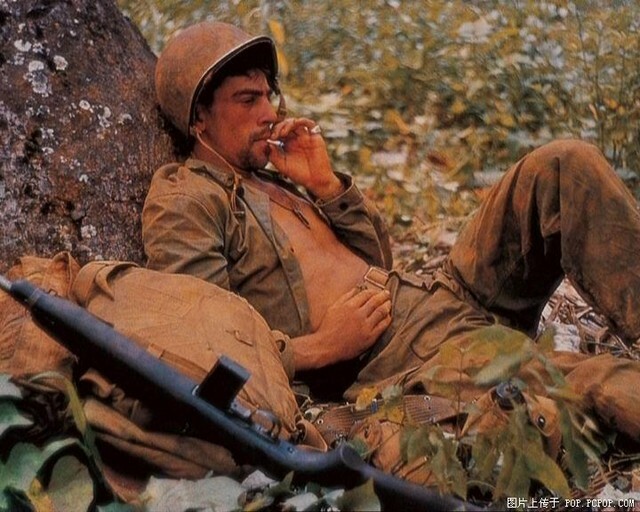 After the War ended in 1945, many returning GIs had seen enough of conflict and battle to last a life time and were now no longer interested in chaos and destruction. Available government housing loans, thanks to the GI bill, enabled the explosion of suburban neighborhoods, populated by happy newlyweds and soon thereafter their two ‘perfect’ children. 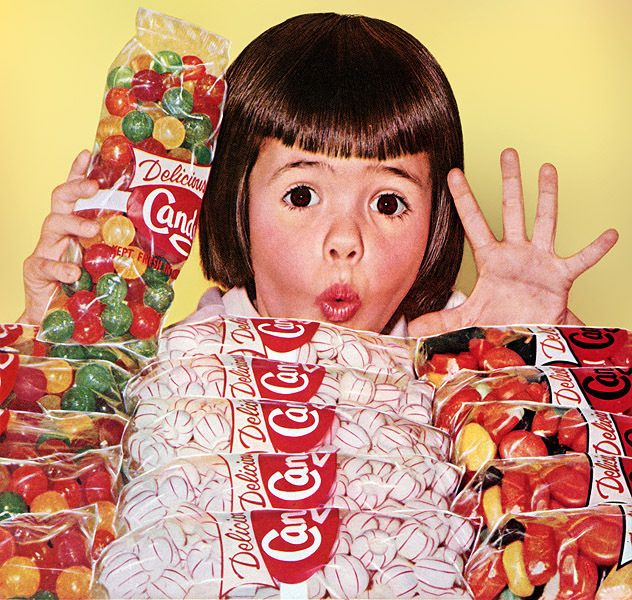 As candy makers evaluated this new social trend, they quickly understood they were looking a vast and untapped market. Women had endured the severe shortage of sugar during war years. Their husbands had ‘dined’ for four years on simplistic K rations. And now there were all those children. In short, it was time to relax, settle into the 1950’s life style promoted by the “Mad Men” of Madison Avenue Ad Agencies and enjoy a ‘new’ holiday based on revamped traditions that were over 2,000 years old. Trick or Treating is still part of Halloween in America though more modern (and health-conscious) parents moderate their children’s consumption of sugar. Costumes, both commercially themed and homemade, are still worn and not just by children. On an ever increasing basis, adults are joining in the fun and enjoying fright-themed treats and scary cocktails. If you wish, however, to return to the simpler roots of Halloween, consider making your very own soul cakes. Eat them before November 2nd and you're sure to have good luck all year. Then you'll know why for over 2,000 years mankind has celebrate the darkening days of Fall each year with fire, fun and friendship. Enjoy and HAPPY HALLOWEEN! Combine the flour, the nutmeg, cinnamon and salt in a small bowl. Crumble the saffron threads into a small saucepan and heat over low heat just until they become aromatic, taking care not to burn them. Add the milk and heat just until hot to the touch. The milk will have turned a bright yellow. Remove from heat. Cream the butter and sugar together in a medium bowl with a wooden spoon (or use an electric mixer with the paddle attachment). Add the egg yolks and blend in thoroughly with the back of the spoon. Add the spiced flour and combine as thoroughly as possible; the mixture will be dry and crumbly. One tablespoon at a time, begin adding in the warm saffron milk, blending vigorously with the spoon. When you have a soft dough, stop adding milk; you probably won't need the entire half-cup. Turn the dough out onto a floured counter and knead gently, with floured hands, until the dough is uniform. Roll out gently to a thickness of 1/2 inch. Using a floured 2-inch round cookie or biscuit cutter, cut out as many rounds as you can and set on an ungreased baking sheet. You can gather and re-roll the scraps, gently. Decorate the soul cakes with currants. Brush cakes liberally with the beaten egg yolk. Bake for 15 minutes, until just golden and shiny. Don't forget to donate to UNICEF this Halloween. Their great work saves the lives of countless children around the world! Posted on October 28, 2013 by Ana Kinkaid and filed under Baking, Cake, Cooking, Culinary History, Dessert, Food, Great Britain, Halloween, Ireland, Music, Recipes, Scotland and tagged Black Hat Society Costumes Disguise Guising Guy Fawkes Immigration Mad Men Mumming Samhain Soul Cake Soul Song Suburbs.